Our travel correspondent has been delighted by the evolution of cozy design. During this winter season I’ve been thinking about the rise of a more sophisticated class of cozy escapes that are showcasing the softer side of good hotel design. I’m reminded of a visit to Switzerland’s Chedi Andermatt, designed by Jean Michel Gathy, two years ago. I curled up in an aged leather club chair watching sparks fly around my suite’s glass encased fire pit as snow fell outside. That trip I opted to stay off the Swiss Alps altogether, in favor of unwinding in my room, lined in smooth Alpine wood walls. Wrapped in a Mongolian cashmere blanket and resting my head on fur pillows, did I miss the hassles of ski gear and chair lift lines? Not one bit. 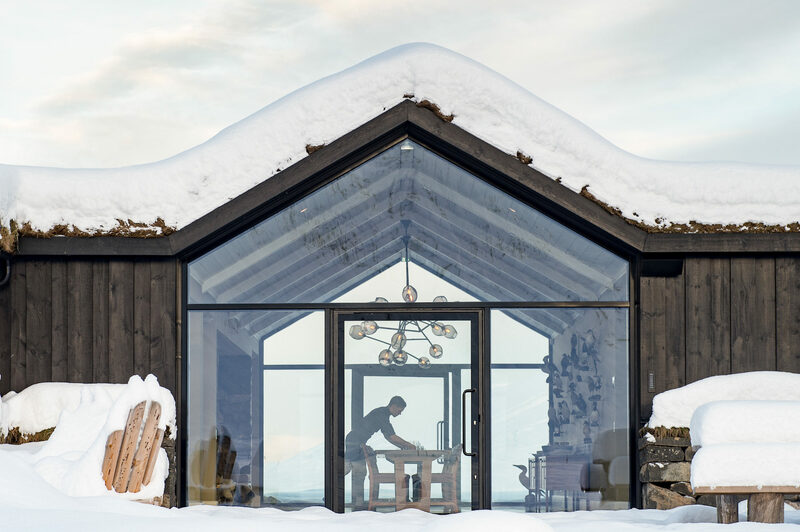 Soon after, I crossed the northern tundra with friend and Reykjavík-born architect Gulla Jonsdottir to Deplar Farm, a “luxury sheep farm” set within Iceland’s mountainous Troll Peninsula. Overhauled by and for comfort-loving Americans, this photogenic farmhouse welcomed us with reindeer-skin bedcovers and camp blankets atop beds piled with pillows. Far out in the cold expanse, we had many options for keeping warm, like the geothermal indoor-outdoor pool and jewel box spa with floatation nests. Even as Europe celebrates 100 years of Bauhaus’s radically simplified forms, the continent continues to impress with standout properties emphasizing rustic charms and indulgent comforts. I yearn to fall asleep inside one of Bergdorf Priesteregg’s twee chalets made of 200-year-old logs recycled from Austrian barns. The bedrooms are paneled with aromatic mountain stone pine, which promotes restful sleep by reducing the guest’s pulse. And what’s not to love about a hotel with its very own “jam fairy,” the daughter of Austria’s first three-Michelin-star-earning chef, Eckart Witzigmann? Next door, within the former retreat for Salzburg’s high priests, sits trendier little sister Mama Thresl, whose rooms are appointed with fluffy Scandinavian duvets, clawfooted bathtubs, and oversize windows framing the Pinzgau Mountains. Also bringing urban cool to higher altitudes is France’s Experimental Group, which opened the Experimental Chalet in Verbier last month. 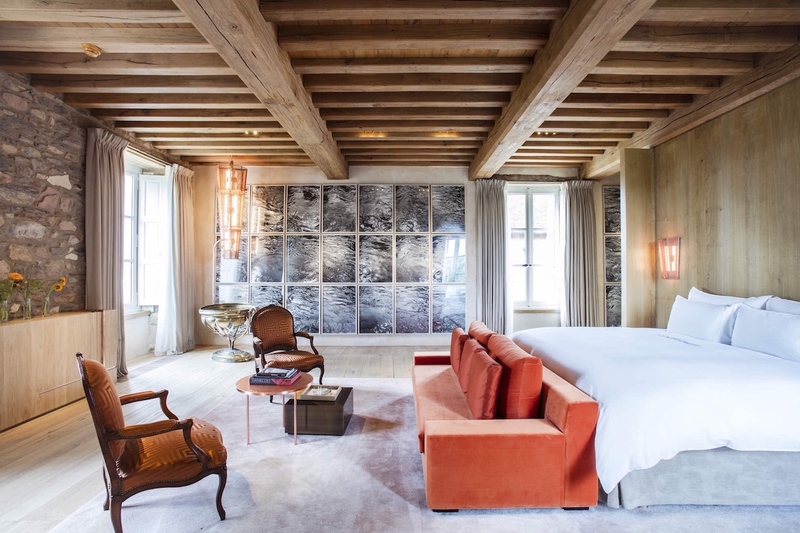 Dominique Perrault alum Fabrizio Casiraghi distilled the nurturing essence of a ski lodge within the 39 guest rooms: curvilinear bedside consoles, headboards carved with mountain goat motifs, thick velvet curtains, and working fireplaces. In keeping with the brand’s craft cocktail origins, the minibar is stocked with pre-mixed drinks and a stainless-steel flask for liquid courage on the slopes. One need not climb to great heights to find a winter bolt-hole. A few hours south of Paris in Massignac, 700 caramel-hued Limousin cows roam the 2,500 bucolic acres at Domaine des Etangs, an 11th-century château filled with contemporary art, lighting by conceptual artist Yann Kersalé, and Hermès leather furniture. Interior designer Isabelle Stanislas is behind the makeover, which includes six standalone cottages—though I prefer one of the seven rooms in the château for their close proximity to the architecturally thrilling Attic, a playroom with games and costume-filled chests for all ages, and the decidedly more adults-only Gallo-Roman baths hidden underground. At University Arms, Buckingham and Kensington palace architect John Simpson worked with interior designer Martin Brudnizki and a $102 million budget to revive Cambridge’s oldest coach house, built in 1834. Striped wallpaper references Cambridge ties, tactile fabrics cover nearly every surface, and the homey English brasserie serves slow-cooked spaghetti bolognese, a daily roast, and generous portions of boozy Duke of Cambridge fruit tart. Captivated as I was by British playwright Alan Bennett’s recording of Wind in the Willows playing in the tavern “loos,” I was disappointed to find that among the 192 Edwardian-style guest rooms, the suite named for Winnie the Pooh author A.A. Milne was in fact B.Y.O.B.—as in, bring your own bear. Closer to my California home, I have my eye on two new arrivals. 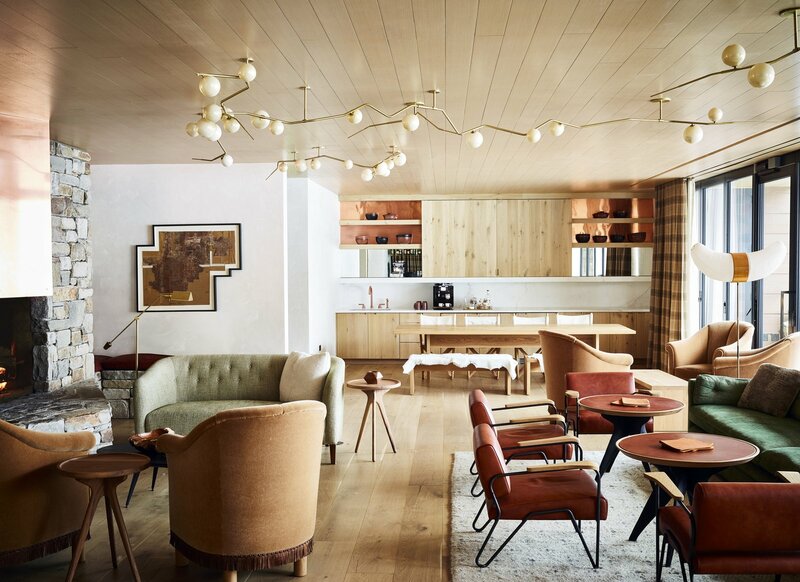 First up, Jackson Hole’s just-opened Caldera House, an eight-room sanctuary endowed with a surfeit of luxurious touches by L.A. based Commune and Wyoming’s own Carney Logan Burke. It also houses the new location of beloved Italian spot Old Yellowstone Garage. I’m holding my breath for the springtime opening of the Lodge at Blue Sky on 3,500 acres near Park City, Utah, where the 46 clean-lined accommodations will open to outdoor fire pits calling out for s’more roasts. Sometimes my insider’s perspective can mean seeing too much behind the wizard’s curtain, yet here I love knowing that Blue Sky’s Chief Operating Officer Stuart Campbell took the owners on a global resort tour for inspiration in order to bring something unseen to the ski town. I looks like it may have worked—I can’t wait to give the in-house whiskey distillery a test run.